Enter the cosmos at supersonic speeds with this coveted sativa-dominant goddess. She is revered for her godly levels of THC and a cerebral high that tears your mind free from the shackles of reality. 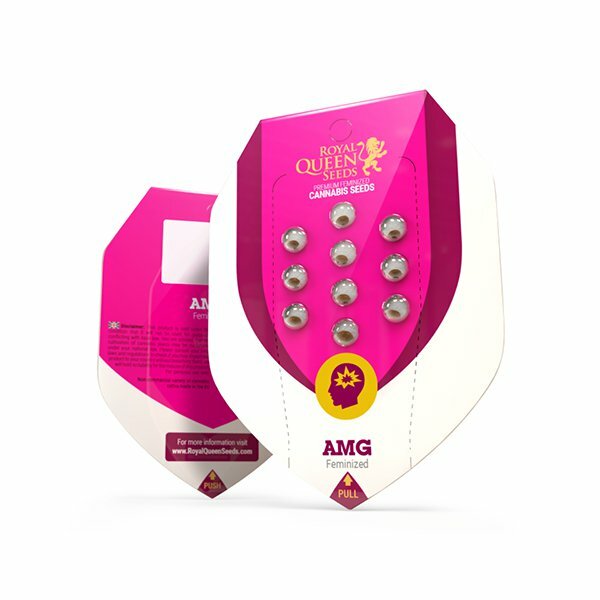 A four-time cup winner and a reputation for blasting smokers with waves of euphoria, AMG banishes any negative thoughts without weighing you down. Some strains end up winning an award or two, and while they should be proud, real champions stay at the top of their game. Amnesia Mac Ganja is an incredible creation by “the Ganja Man” himself, deriving from the legendary Amnesia and Mac Ganja Haze strains. She may only be 80% sativa, but this green goddess delivers a supercharged high straight to the inner sanctum of your mind. If you are wondering how one strain can have such a profound impact, you only need to look at her 2014, 2015, 2016, and 2017 cup wins. As we said, real champions stay at the top of their game. The only downside to AMG is that she is not a mid-morning or before-work kind of strain. Her place is by your side after a tough day at the office. It is here she will take your hand and guide you into blissful euphoria.